WM Recordings artist Barbara de Dominicis has recorded a great video for her track “Disremembering Echo” from the album Anti-Gone. Buy Anti-Gone from iTunes or CD Baby. Claudio Nunez was born in Buenos Aires in 1959. He studied classical guitar during the 70s, composition with Hilda Dianda and obtained a choral conductor degree in 1980. Claudio lived in the USA between 1981 and 2004. 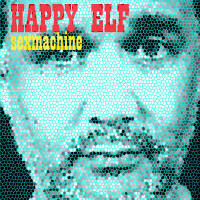 He has released 7 CDs: “Algunas revelaciones sobre el tango chino”, “La zappatilla de zappa” “El zen del tango – el tango del zen”, “Paseando por lomas”, “Solos en la madrugada” “Freejazz on monday” and “Freejazz on sunday”. 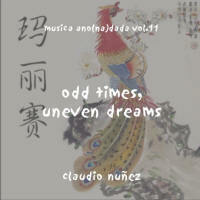 “Odd Times, Uneven Dreams” is Claudio’s second release on WM Recordings. It focusses on his qualities as a guitar player. 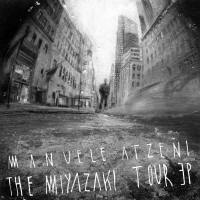 As you may know we distribute part of our catalog of free album releases through Bittorrent site Mininova. We have made 30 releases available through their site so far and we continue to add older releases. 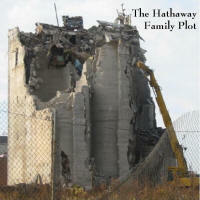 Inspired by the increasing practice of musicians sponsored by corporations, these 16 tunes are The Hathaway Family Plot’s latest attempt to make music that is the anti-commodity: sloppy, unmarketable, and sometimes flagrantly difficult to listen to!